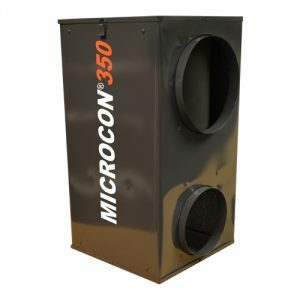 The Microcon® 350 ‘whole home’ HEPA Air Filtration system is easily installed in your home’s HVAC or air handling system to provide 99.97% airborne particulate reduction without impacting air flow, static pressure or unit sizing. 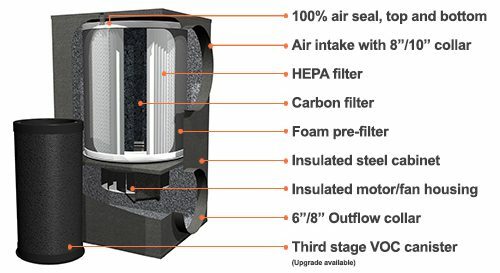 This whisper quiet air filtration system is extremely efficient for dust, pet dander, pollen and VOC removal. This unit is recommended for areas up to 2,625sq ft.
Get a Whole Home System that Works for You! Contact us for more information or to set-up an appointment for a free estimate.